Kid birthday parties are garbage — literally. 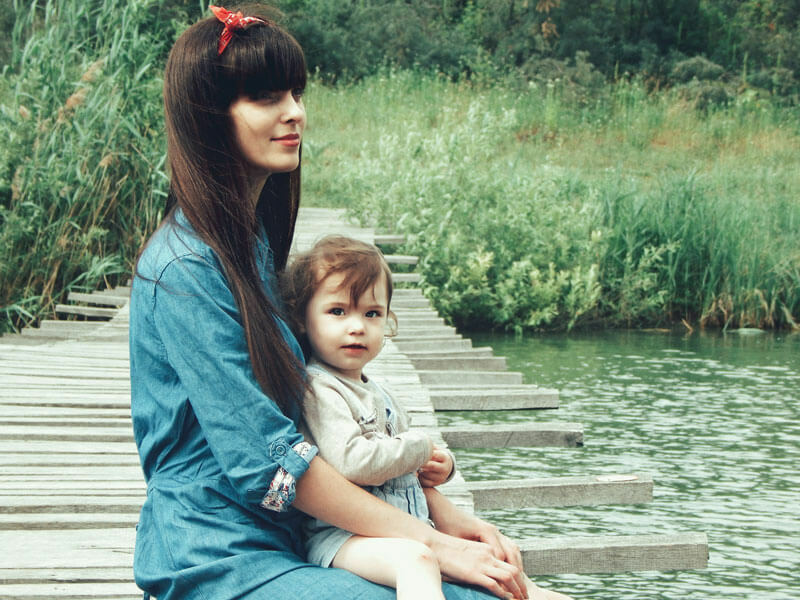 One of the first things mom-of-two, Emma Rohmann, noticed about birthday parties attended by her six-year-old daughter was just how much waste they generated. The decorations, the food and serving dishes, even the loot bags. 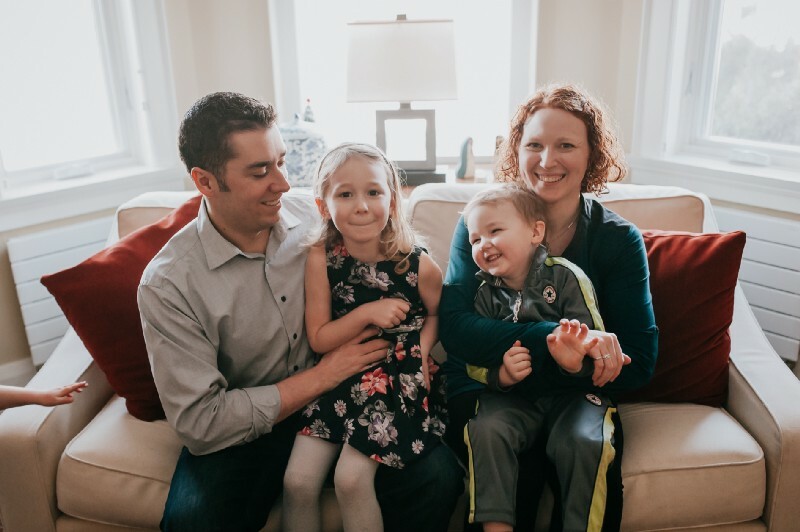 Early on, Emma — who was profiled by WFHP last year — realized she’d have to “shut [her] brain off” or she wouldn’t be able to attend another party with her kids without going crazy. She resolved, when it came time for her kids, to host a conscious and fun party without harming the earth. How did you approach the hosting/party planning process? We keep our parties simple and involve my daughter in the process. She gets to pick a theme, and which friends she invites (I set a max depending on if it’s at home or elsewhere). I took stock of what we could use that we already had. Cloth napkins, dishes, and cutlery all come from our kitchen, patio, and camping sets. Sure, they don’t match, but nobody’s complained yet! Instead of single-serving juice boxes, I put out cartons and cups. And I had a jug of water as an option, too. I could have forgone the juice entirely, but my kids don’t drink it much, so it feels like a treat. I also made the cake, icing, and even reusable decorations out of felt — I’m no Martha Stewart, so this was a stretch for me, but they turned out OK! I sent out email invitations. I made a cute graphic on canva.com, so it looked like a paper invitation but didn’t feel the need to send out paper invites. Another bonus of keeping the guest list small: I knew how to get in touch with all the parents for their email address! For the first couple of birthdays, I made it clear on the invitation that there were to be no gifts. For my daughter’s sixth birthday, she wanted presents, so we came up with the option for donations to charities of her choice or craft supplies. This way, if people wanted to give a gift, it was something she would use and wanted. Most people donated, and she had just as much fun opening those cards as she did presents. Loot bags — yay or nay? A big nope! Conventional loot bags drive me crazy. The toys rarely get used more than five minutes after getting home, and they’re usually risky from a materials/ingredient perspective. I can appreciate that people want to give out something, but I don’t feel the need. One year I said right on the invitation “please don’t bring a gift… we aren’t handing out loot bags so we’ll be even.” Other years, the kids made crafts and got to take those home. What hurdles did you encounter along the way? 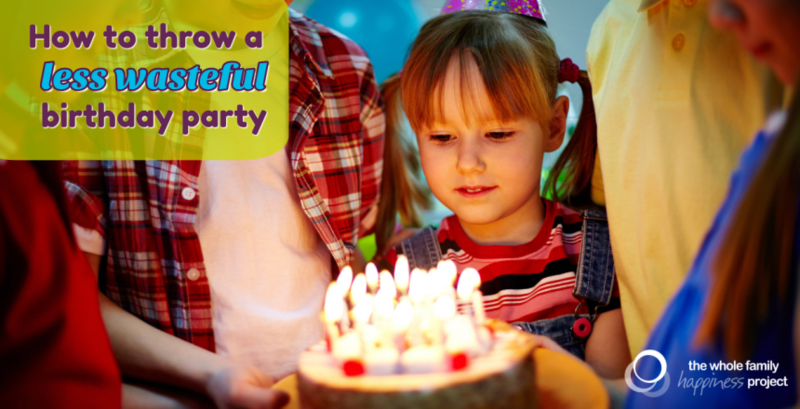 My approach to birthday parties is that they shouldn’t be more stress than they are fun. So I didn’t put pressure on myself to do things a certain way because I felt I had to. I did what felt right, what fit in our schedule, and what would make my daughter have a great time. The biggest hurdle was packing up all the dishes and bringing them back to wash afterwards — but it was hardly a deal-breaker. How did guests react to your “green” party? They might have noticed that there weren’t any balloons or streamers or juice boxes, but not a single kid complained. The parents appreciated not having to spend money on a gift, and also not having to deal with junk from a loot bag. Anything you’ll do differently when the next birthday rolls around? As she gets older, I know it will be a challenge to keep birthdays small. But I try not to project too much. I ask what she wants, and we talk through a solution that works for all of us. So I’m sure each year will bring challenges, but we’ll cross that bridge when we get there. As long as we have a dialogue about the impact of decisions, I think she’ll agree and welcome our less-is-more approach to birthdays. I’m still waiting for her to appreciate my no balloon rule fully, but we don’t have arguments about it so I think she gets it. Join our FB group for Purposeful Parents. Tell us about her. We’d love to share her story.